This is a perfect start to building your fall wardrobe! 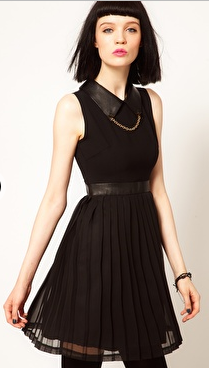 Love the collar, with its hardware detailing, and the flowy pleats. Buy at ASOS for $128.